Maggie Gerber-one of the founding members of the Good Buy Girls- loves her quiet life in St. Stanley, Virginia. But all that changes when Sam Collins, her old flame, moves back to town as the new sheriff. On top of that, Claire Freemont, a librarian and the newest member of the Good Buy Girls, starts acting utterly strange. Best friends, bargain hunting, and murder! Josie Belle’s debut cozy mystery 50% OFF MURDER introduces readers to the Good Buy Girls, a group of four coupon-crazy friends who call the small town of Saint Stanley, Virginia, home. When one of the girls is accused of killing a man in the library, the other three jump in to help clear her name. The ring leader of the Good Buy Girls and main protagonist of the story is Maggie Gerber. Maggie was widowed at a young age, and she’s spent the last 17 years as a single mom to her daughter Laura. Maggie never dreamed that the town’s new sheriff would be Sam Collins, an old flame she hasn’t seen in 24 years. And, since things between them ended badly, she’s none to thrilled about his involvement in the murder case. The dynamic between Maggie and Sam was tense but humorous. She has some impressive sarcastic zingers to throw at Sam which had me giggling. But, as much as she wanted to convince herself that she hated Sam, Maggie just couldn’t fight the attraction. The mystery itself was okay – not as strong as it could have been. I thought the killer was pretty obvious. 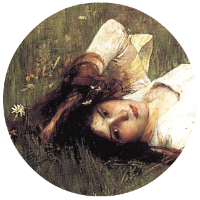 For some reason, Maggie was completely fixated on other things, and in the end, she wasn’t the one to figure out who-done-it. I’m always disappointed when the amateur sleuth isn’t the one to solve the murder, though in this case, Maggie did help. The highlight of the story is the friendship between Maggie, Ginger, Joanne and Claire, aka the Good Buy Girls, and I can’t wait to get to know them better in future books. And Sam, too! 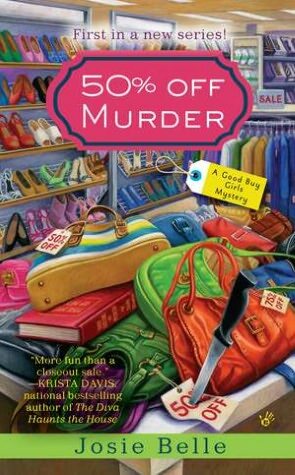 This new cozy mystery series has great promise and I’m looking forward to seeing what the bargain hunting babes of Saint Stanley will be up to next. This entry was posted in Cozy Mystery, Mystery, Reviews and tagged 3.5 Stars, Josie Belle. Bookmark the permalink.